1. SRR 150 is lettered for the New York, Ontario & Western on one side and D&RGW on the other. In truth, it is ex-NYC or P&LE (shopped McKees Rocks PA, shops on P&LE in 1967). 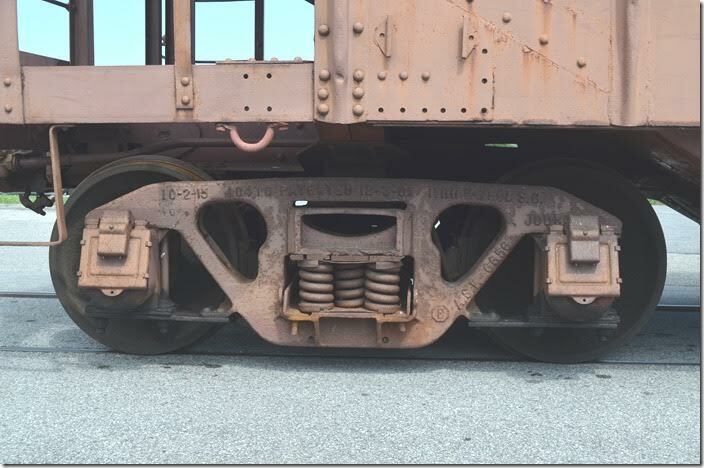 The trucks are embossed “NYC.” Looks like it has been modified to spread ballast. 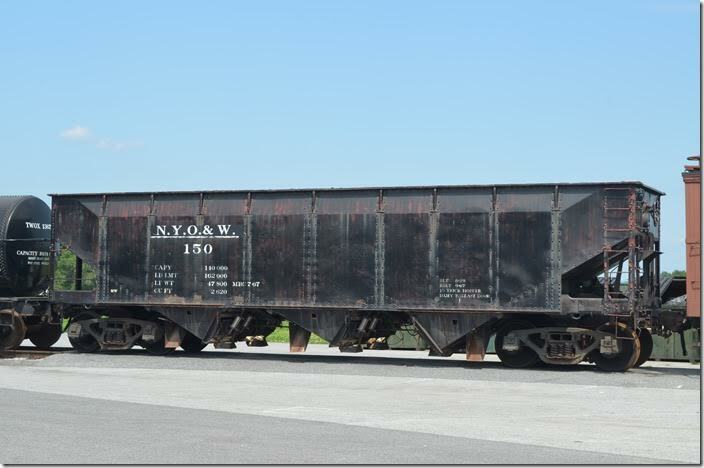 NYO&W hopper 150. Strasburg. 2. 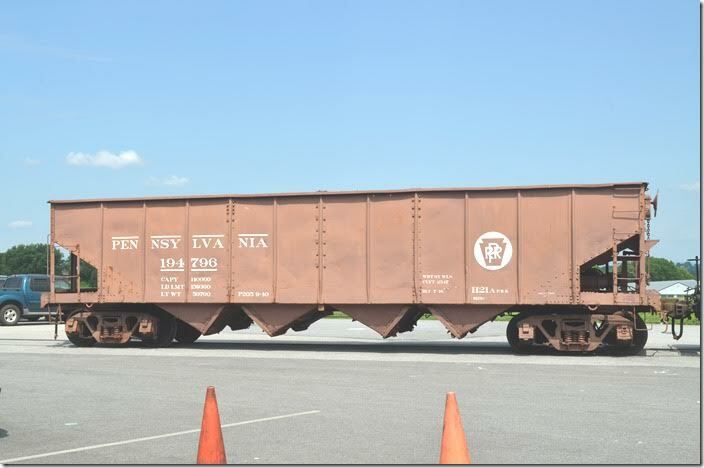 PRR hopper 194796. Strasburg. 3. 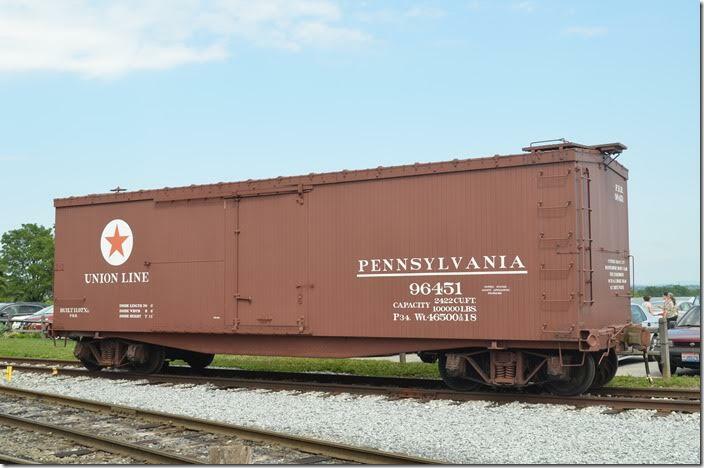 PRR hopper 194796. View 2. Strasburg. 4. 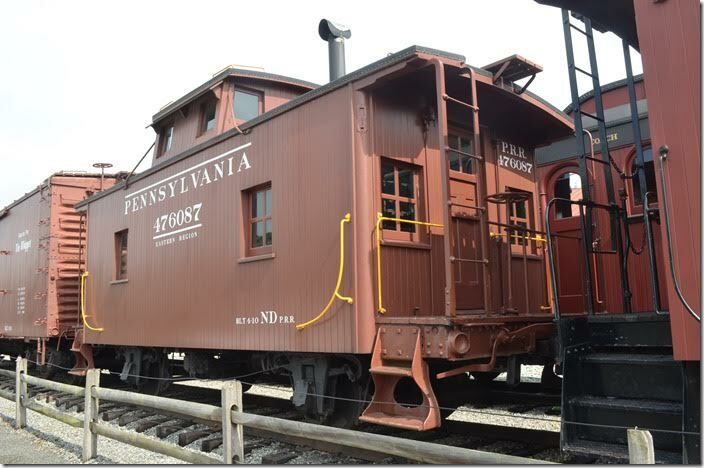 PRR 194796 was built by American Car & Foundry in 1916 as class H21. Pennsy only had 39,699 of these in 10 different sub-classes. 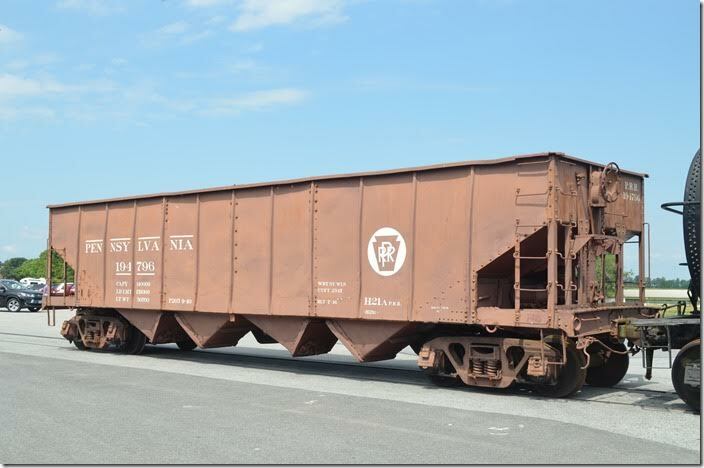 PRR hopper 194796 truck. Strasburg. 5. TWOX tank 1367. Strasburg. 6. 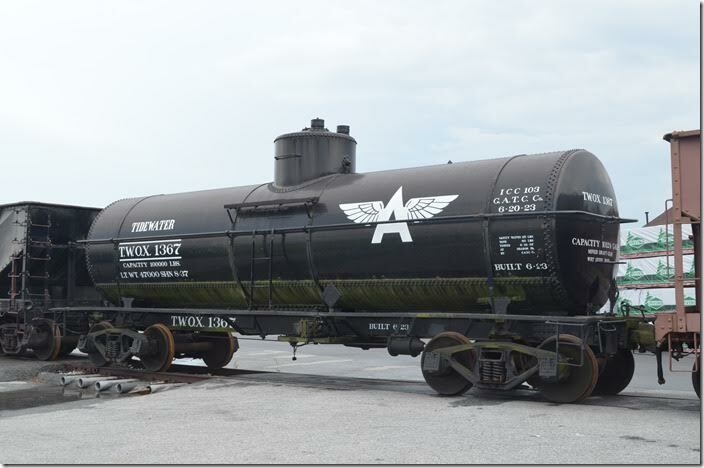 Tidewater Oil Co./Getty Oil Co. was built by General American Tank Car Corp. in 1923. 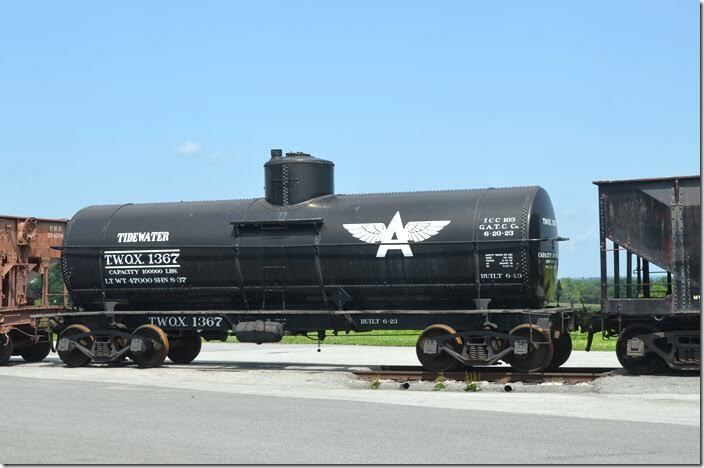 It was acquired in 2004 after serving as an engine fuel car for CNJ and NJDOT. TWOX tank 1367. View 2. Strasburg. 7. 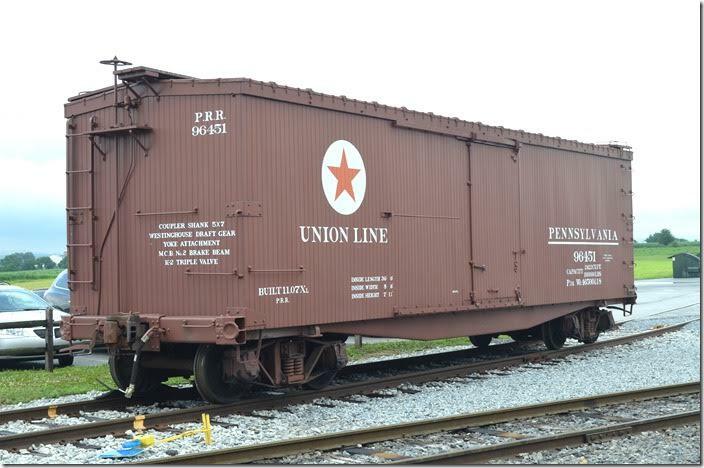 CV box 40025 was built in 1924 and acquired in 1976. 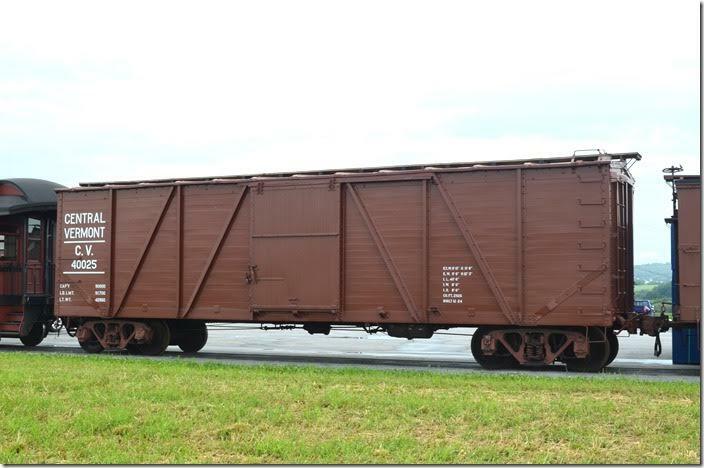 It is equipped with grain hatches. Strasburg. 8. CV box 40025. View 2. Strasburg. 9. PRR box 96451. Strasburg. 10. 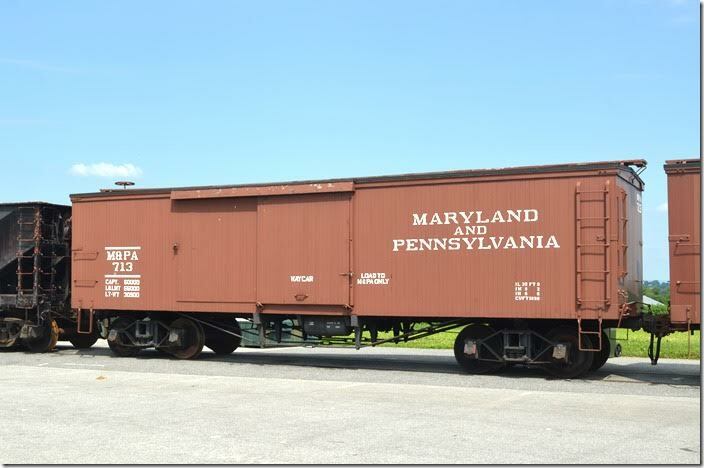 PRR box 96451 was built by Pressed Steel Car Co. in 1907 for Subsidiary New York, Philadelphia & Norfolk. View 2. Strasburg. 11. M&PA box 713. Strasburg. 12. 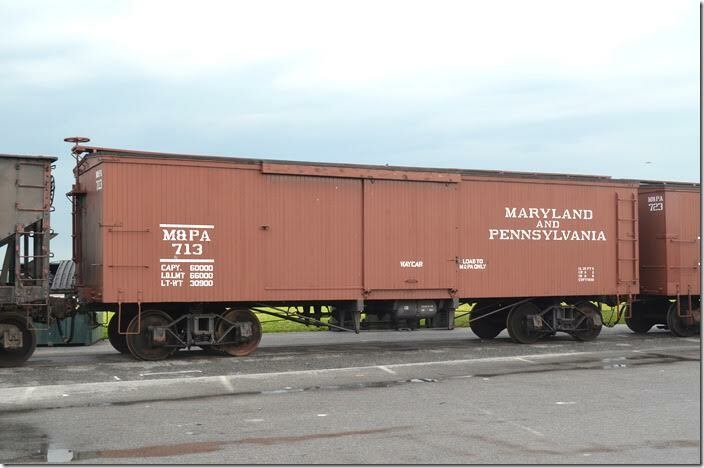 Ma & Pa 713 was built by the Baltimore Steel Car & Foundry in 1906 and acquired by SRR in 1960. View 2. Strasburg. 13. Rutland box 6081 was built in 1924 and acquired in 1999. 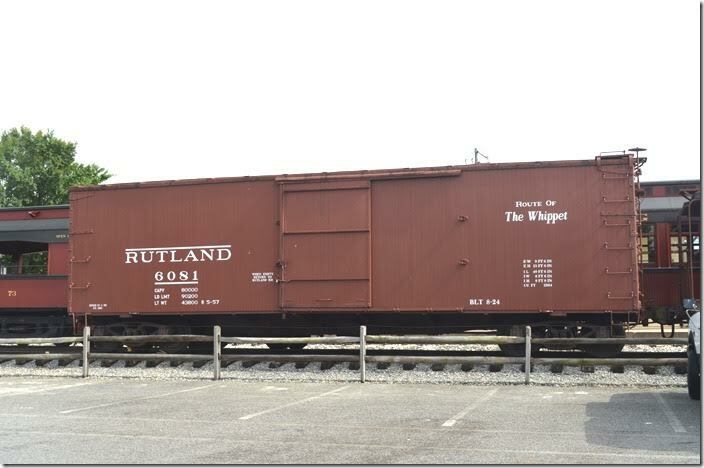 The railroad introduced “The Whippet” in 1939 as a fast freight route between Boston and Norwood NY. 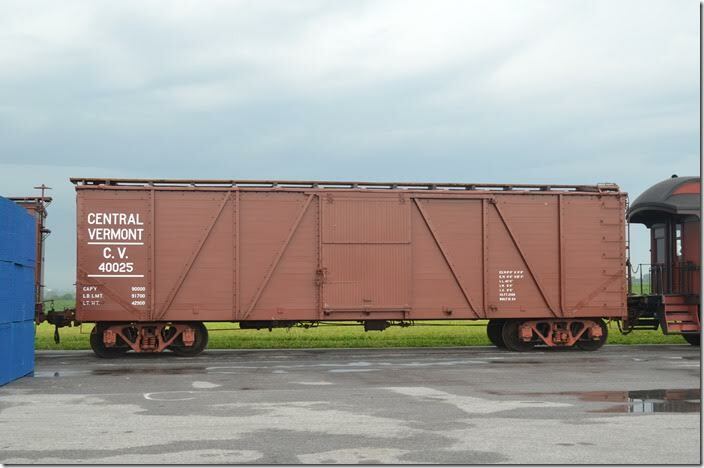 The slogan was painted on rolling stock, cabooses and at least one locomotive. Strasburg. 14. 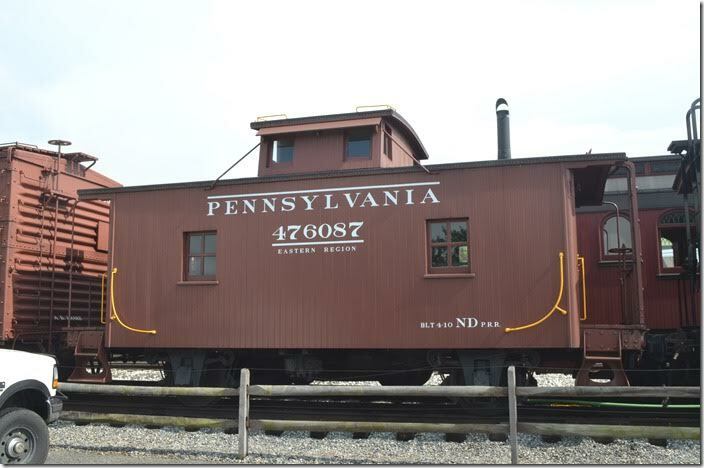 PRR cab 476087. Strasburg. 15. PRR cab 476087 “bobber” was built in 1910 and acquired in 1959. View 2. Strasburg. 16. 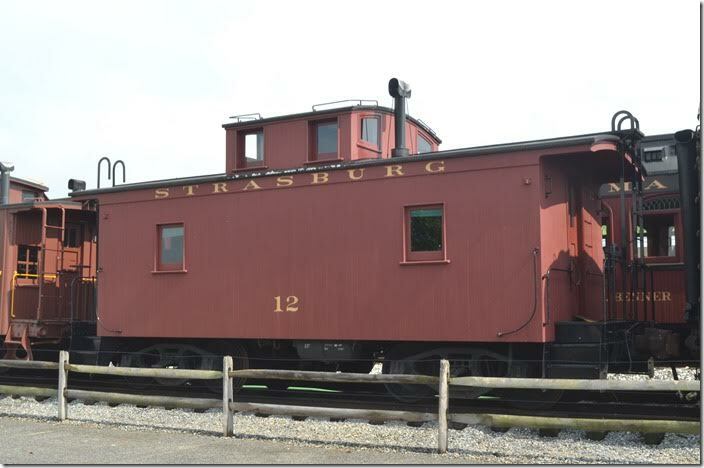 Strasburg cab 12 was built by the Baltimore Car & Foundry in 1925 for the Detroit, Toledo & Ironton as their no. 95. SRR acquired it in 1964. Strasburg.